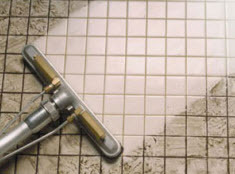 Should You Hire A Professional To Clean Your Floor Tile & Grout in Anaheim, CA? If you are like most people, you probably have a cleaning schedule that you follow to ensure that your homes chores are done regularly. One area that is in constant need of attention is the floors. Whether you have carpet or tile you need to have them cleaned on a daily basis for most homes and professionally cleaned as well. You can do the maintenance cleaning of the floors but the good deep cleaning that needs to be done has to be by a professional. They will have high grade equipment that can get to the dirt and grime that you just can’t. If you have ever tried to do your own tile and grout deep cleaning then you know how strenuous the work is. If you haven’t there are several reasons why it is best to hire a professional to clean your tile and grout. Leading Carpet Cleaning lists benefits of hiring a professional to clean your tile and grout. Professional Tile & Grout Cleaners Saves You Time: The biggest complaint when people set off to do their own tile and grout cleaning is the amount of time that it takes them. When you get to the grout you are going to need to do a small area at a time and usually you are sitting on the floor moving over each tile. The best way to get in the grout lines is to use a hard bristle brush about the size of a toothbrush. This means that you are going to be spending hours getting to each area. That can really ruin an entire day depending on the area that you are going to be cleaning. When you hire a professional they have the right equipment that can get to the grout lines and move much faster than you can. This means the job is done faster and saves you time that you can then spend doing other things on your list. Professional Tile and Grout Cleaning Protects Hard Floors: If you have dirt and grime that is left on the grout lines it can start to cause them to become damaged. When the damage happens the grout can start to come lose and then the tile is susceptible to water damage and debris that can get under the tile putting it at risk of more damage that will require replacement. If you want to keep the grout secured you can use a professional tile and grout cleaning service that will remove all the damaging spills and dirt. This can then prolong the life of the tile. If you want to have your tile and grout cleaned by a professional call Leading Carpet Cleaning today! How to Prolong the Life of Your Carpet in Rancho Cucamonga, CA; Quality Padding, Area Rugs & Mats, Vacuum, Stain Removal & Professional Carpet Cleaning! When it comes time to replacing the surface of your floors, many opt with the comfort of carpet. But when investing in premium quality carpeting, you want that carpet to last. There are many things you can do to ensure the carpet meets its life span, or even extend it past the expectancy. The more stringent and dedicated you are to the cause is essential. Making sure your family follows the rules as soon as it is first laid is usually simple task, but after 5, 10, or even 15 years, may not be so. Leading Carpet Cleaning list some important aspects that will prolong the life of your newly installed carpet. – Don’t skimp on the carpet pad. A common mistake in many folks is that they invest more money in high quality carpets and skimp on the carpet pad. A well manufactured carpet pad, made with excellent quality materials gives your carpet added resilience, and additional comfort when walking and lounging on the carpet. With exceptional padding heavy traffic areas are better protected. – Utilize walk-off mats both on the interior and exterior of entry points. Accessorizing with walk-off mats can eliminate much of the debris and moisture from shoes that would normally be tracked onto the carpets. Be sure the exterior mat is engineered to withstand the elements, and is capable of removing the greater portion of the soil and mud. The interior mat should still be sturdy with a rubberized backing to prevent creeping. Both mats should be adequate size. – Vacuum regularly. To avoid the soiled debris getting embedded into the fibers, it is highly recommended that you vacuum regularly. A minimum of once a day is generally needed in high traffic areas, but if it needs more, do so. On carpets that don’t frequent daily use, vacuum 1-2 days a week to remove the settled dust. – Don’t neglect vacuum cleaner maintenance. If your vacuum doesn’t receive routine maintenance and cleaning the brushes become inadequate, and the bag or dir container becomes too full for effective use. Be sure to give the vacuum cleaner attention as well. – Remove stains as soon as possible. If stains occur, be sure to clean them up immediately. The longer a spill festers, the more the stain penetrates deep into the fibers, which makes the stain more difficult to remove. – Rotate the furnishings. If possible, keep rearranging the furniture periodically. Not only will the fibers have a chance to relax where the furniture once stood, but new traffic patterns can help balance out the carpet’s wear. – Avoid long periods of direct sunlight. With extensive sun rays hitting your carpet, the color will begin to fade. Ensure blinds or awnings are down when the sun is in direct view of the carpet. – Professional carpet cleaning. Invest in a professional cleaning from Leading Carpet Cleaning a minimum of once a year. Having an annual professional cleaning can remove the underlining filth that can cause traction when it is walked upon, contributing to the wear and tear. A common misconception is just because the carpet isn’t blemished with obvious stains or blemishes, a professional carpet cleaning isn’t needed. Always get the minimum professional carpets cleaning at least once a year to prolong the lifespan of your carpet. Contact us today! One service that has a benefit for every home is carpet cleaning. Some homes have carpet throughout while others have carpet in some rooms. Whatever the amount of carpet that you have you still need to have your carpets professionally cleaned on a regular basis. You may think that your carpet is not dirty and you take really good care of it and you don’t have kids or pets but you may be surprised to know that amount of dirt that still makes it on your carpet. Each time you walk inside your home you are dragging the dirt and debris with you. If you vacuum you are getting some of that dirt but not all of it so over time the fibers are being saturated with dirt and dust. When you have pets and kids you know the amount of mess can follow them around. That is why no matter the lifestyle you have you still need to have your carpets cleaned. Leading Carpet Cleaning lists how a professional carpet cleaning company sets the rate to clean your carpet. How Much Square Footage: One of the main things that the carpet cleaning company will need to know are the number of rooms that you want to have cleaned. You should have a general idea on the amount of square feet that you are wanting to have clean. The professional can give an estimate on the cleaning process based on the size of the rooms that need to be done. How Dirty are the Carpets: The carpet cleaning technician may ask over the phone or need to come out and look at the carpet to determine the amount of staining. The carpet stains will need to be treated based on the specific stain and some of the high traffic areas as well. The more staining you have, the harder the job will be and the longer it may take. The technician will want to ensure that the end result is acceptable and that means treating stains one at a time. You also want to alert them if you have pets that have had any accidents in your home. Do You Want Any Add On Cleaning Services: Carpet cleaning companies usually have other services that they offer. They can bundle other services and do more cleaning for a good deal if you ask. 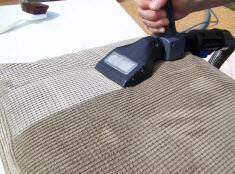 Some other services you can ask about is rug cleaning and upholstery cleaning. They will also want to know if you have stairs that need to be cleaned as well. These additions will add to the cost but in turn can save you money by adding them onto your regular carpet cleaning service. Carpet Cleaning, Stain & Odor Removal in Orange, Santa Ana, Rancho Cucamonga, Anaheim, Whittier, Riverside, Chino & Fullerton California. These are the main components that go into setting a rate for your carpet cleaning but many companies will offer promotional deals and discounts if you ask about them when you call to set up your appointment. 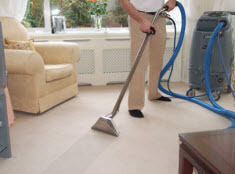 If you want to have your carpets cleaned on a regular basis call Leading Carpet Cleaning.